These are the original Glenn Cronkhite-designed saxophone bags that date back to the 1970s. Some of the original bags are still in use today! Made in the USA using only the finest “Top Grain” leathers and durable 1000D genuine Cordura fabrics, you can be assured that your saxophones are well protected in a well made bag. NOTE: The current photo is a placeholder only. It will be updated soon. An inch of high-density foam surrounds your saxophones. The exterior is made from a top quality leather. One tenor saxophone and one soprano saxophone. One zippered side pocket for convenient storage. One oversized outside pocket for additional storage. At just under 6 pounds, you can’t go wrong! We use only the finest top grain leathers. Choose from black, deep chocolate brown, cinnamon, or a stylish British Tan. Students and professionals who want the original (and still the best!) 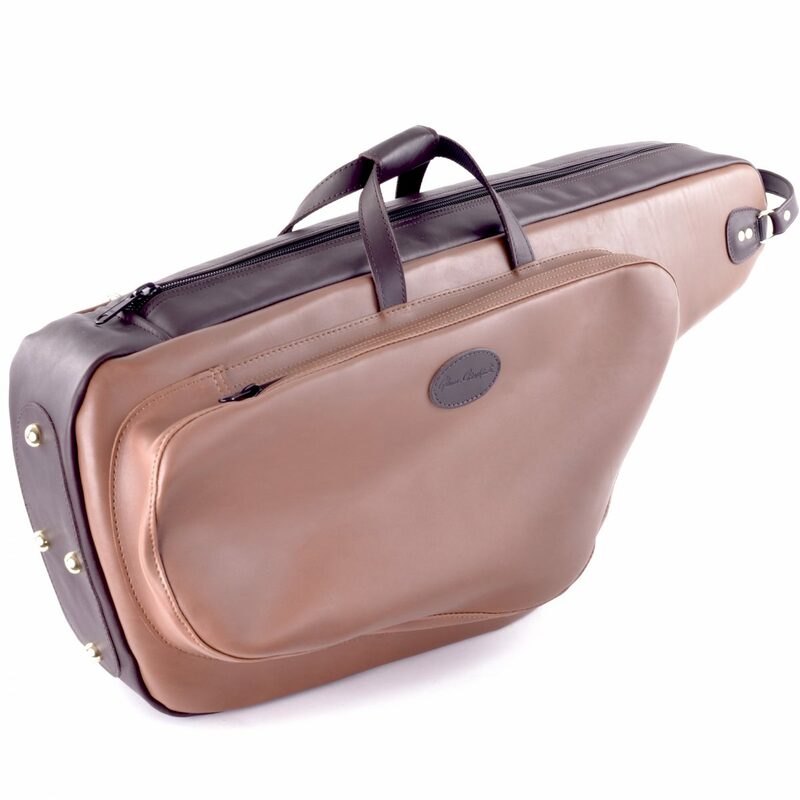 gig bag for carrying a tenor and soprano saxophone together. These are the original Glenn Cronkhite-designed saxophone bags that date back to the 1970s. Some of the original bags are still in use today! Made in the USA using only the finest “Top Grain” leathers and durable 1000D genuine Cordura fabrics, you can be assured that your saxophone is well protected in a well made bag.